He'll go beyond cool in the Moschino Kids® Logo Graphic T-Shirt w/ Contrast Sleeves. Short sleeves with long sleeve attachments. Brand name logo and graphic print along the front. 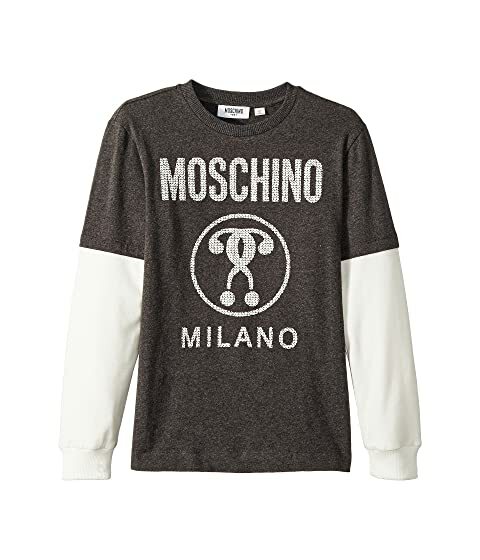 We can't currently find any similar items for the Logo Graphic T-Shirt w/ Contrast Sleeves (Big Kids) by Moschino Kids. Sorry!